CHORDS U.K. SINGLE AND DATES! 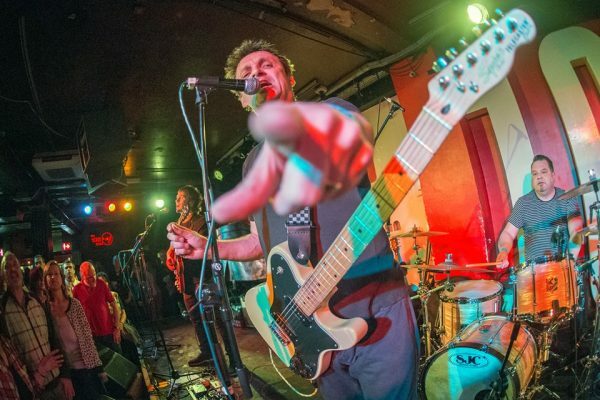 CHRIS POPE and THE CHORDS UK have unveiled a new video and announced a series of UK dates for the year ahead. ‘Heart Of The Matter’ is a remixed version of a track from the band’s acclaimed album Take On Life, released last Autumn. The single is backed with an acoustic version of ‘Happy Families’. Single and album are available from the band’s website. Chris and the band will be playing as special guests to THE MEN THEY COULDN’T HANG at Shepherds Bush Empire on Saturday 15 April. Tickets are available here. They’ve also been added to the bill of this year’s Undercover Festival, taking place at its new home of Margate Dreamland on 8-9 September. More dates to be confirmed…. ‹ MEMBRANES, SPEAR FOR STRUMMERCAMP!